I spent this past weekend at one of my favorite places in the world for my friends Marina and Louis' wedding at Rokeby in the Hudson River Valley (HRV) of New York. Whenever I'm there, we almost always stop at the Montgomery Place Orchard farm stand for some of Doug and Talea's fresh apples, pears, berries, veggies and more, and more often then not, I bake a pie (or six) from what I find there. 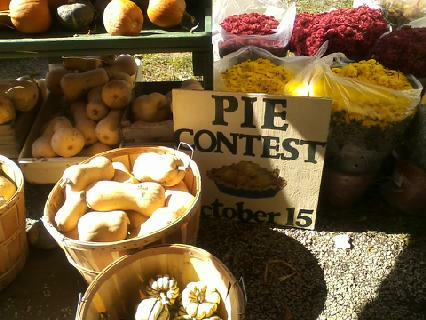 The stand holds an annual pie contest, this year on October 15-- next weekend! My visit has never coincided with the contest, but someday I hope to enter. 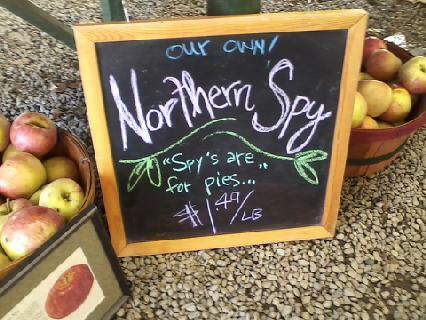 One of the best things about Montgomery Place Orchards is that they grow and sell my favorite baking apple-- the Northern Spy. When I was growing up we used to get them at Eberly's Orchard in North Liberty, IN, though they only had one tree left, as Spies are difficult to grow and aren't cosmetically perfect. 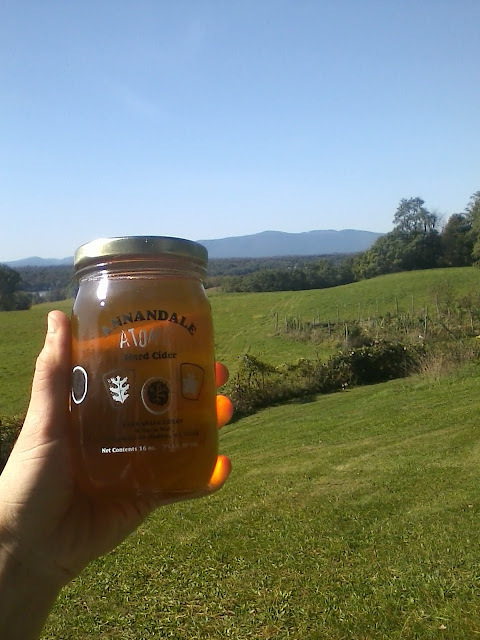 They seemed to have made a comeback, though, among heirloom growers, and pie bakers are thankful for it. I also like to pick up a jar of Doug and Talea's delicious farm-pressed "Annandale Atomic Hard Cider". It's the perfect thing to sip as you roll out dough, slice apples, and flute crusts.